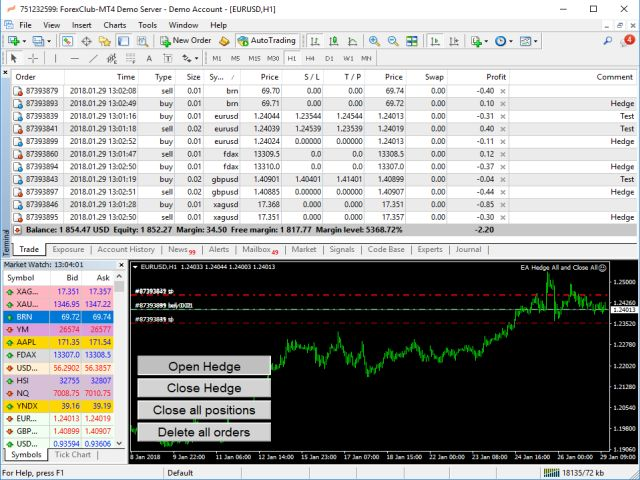 Hedge EA All and Close All – it is the assistant traders to trade, hedge (locks) all open positions on all trading instruments at a specified time or by pressing a button on the screen. The EA will open a buy hedge (0.02) at "% Hegde" = 100. If "% Hegde " = 50, the EA will open a buy hedge (0.01). The Expert Advisor allows hedging risks when necessary. If the "Monitoring..." button is pressed, the EA continuously monitors open orders. If one order is closed or opened by the new order, the EA will recalculate the warrant hedge. 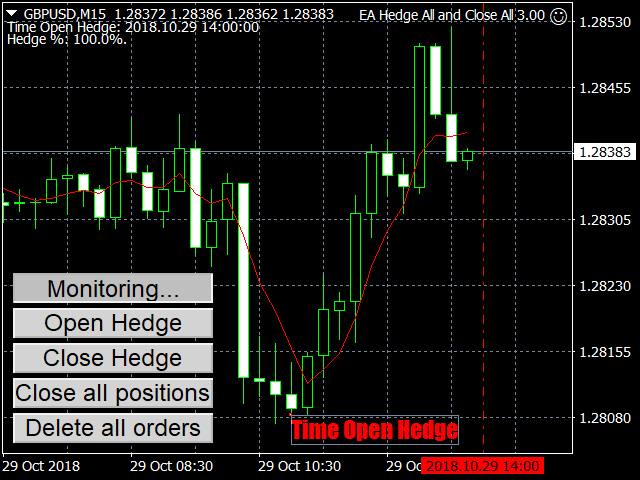 Enable "Use time Open Hedge" - on and set the opening time of the hedge so that the EA opens the hedge at a set time, for example, before closing the market. 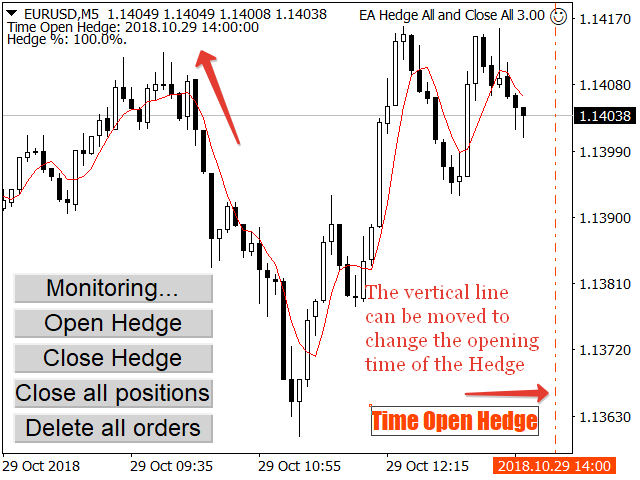 The vertical line can be moved to change the opening time of the Hedge. The EA also provides the test mode. In test mode, a few orders are opened during the launch. 1. 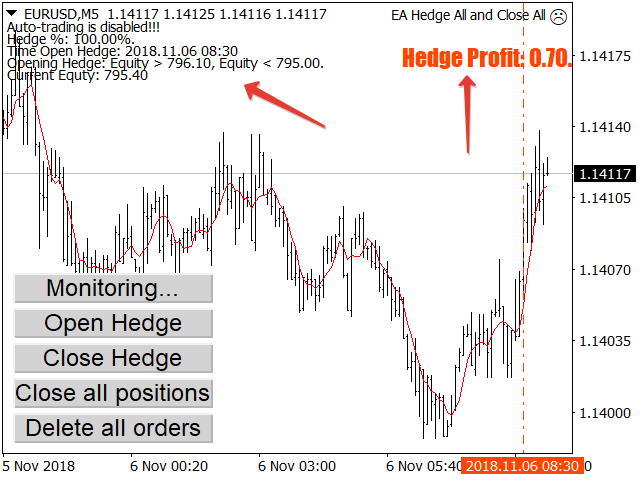 Added display of the profit of the Hedge. 2. Added ability to open Hedge by equity value. 3. 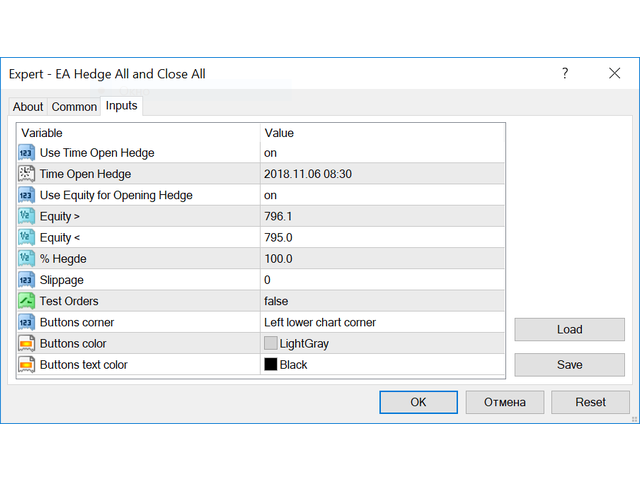 Updated the displayed information about opening a Hedge. 1. The logic and interface of the EA have been redesigned. 2. Added the ability to partially hedge (lock) positions. 3. Added show on display of the specified opening time of the Hedge on the chart. 4. Added a vertical line that allows you to change the opening time of the Hedge.